Orkney Image Library - Pick & Stick? Is this akin to the Chewing Gum poster scheme of picture #12424? 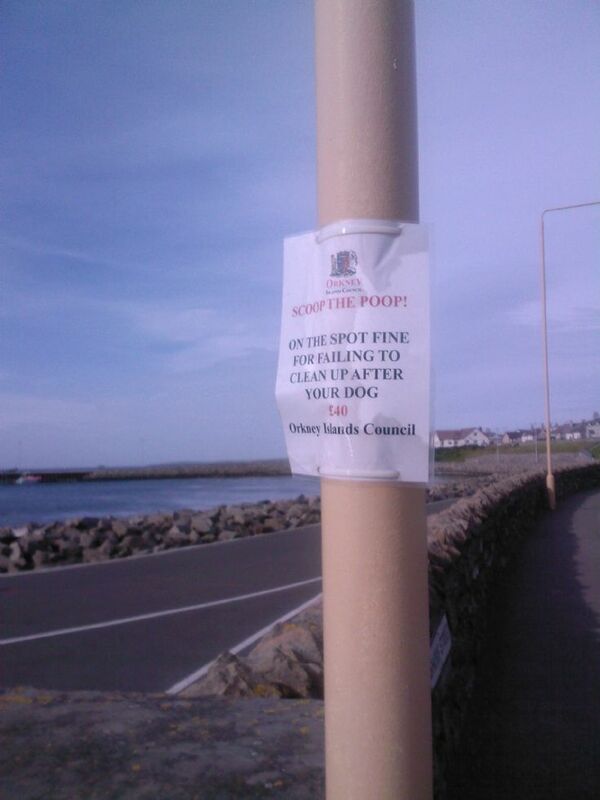 Are dog owners meant to pick up their mutt's mess and stick it to the notice? Apologies for the quality, but it was taken with a cameraphone (in a hurry, in case anyone wondered why I was taking a photo of a lamp post). It would be nice to see some of these for horse riders for a change !!!!!! Colin, totally agree with you. I travel daily on the roads in my powerchair and often am forced to go through horse dirt in New Scapa Road. It's difficult to veer around it when you are amongst fast moving traffic. Dog dirt is as bad in the town on the roads and pavements. Both stick to the tyres and get dumped wherever I go. I wonder if the horse owners/riders/dog owners would like to tramp it into their houses?? ?